The car is here. We have a 2005 Mazda MX5 Miata and it's sitting in our studio in Budapest. It came from Germany. It's absolutely perfect for our needs. Thanks Mazda! The next step is for us to create a detailed 3D model of the car so that we can include cutaways in the video series that show the insides of the car working. 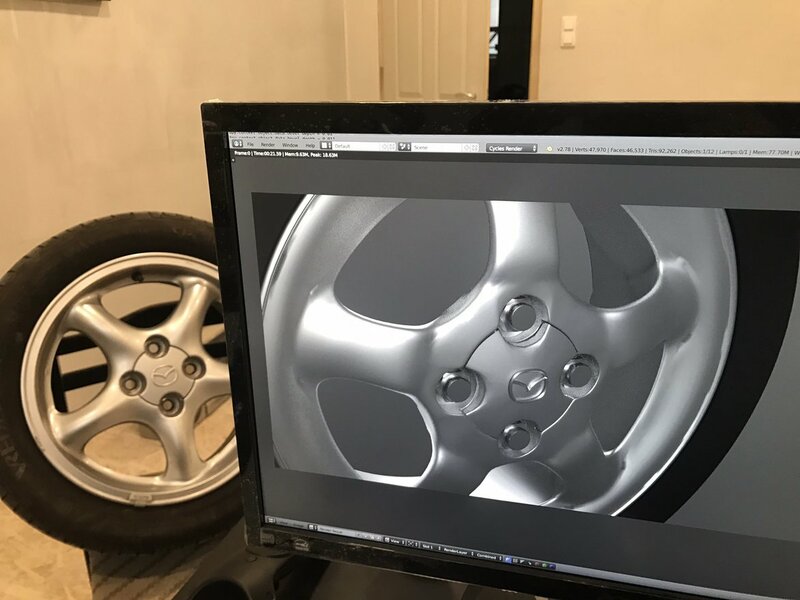 So far I've been unable to find someone with 3D modeling skills to help on this so at the moment I am modeling the car myself. I started yesterday and I've just finished the wheel. Next I will tackle the bodywork. Meanwhile, the studio build continues. The floor slopes and so we need to pour a concrete base before a two-post lift can be installed. Hopefully we can find a concrete contractor this week and get it done. In the meantime, car modeling continues.